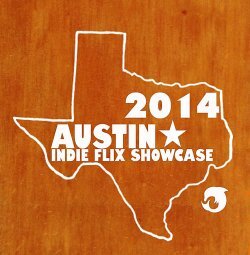 Give us the basics about the Austin Indie Flix Showcase first: When and where will it be held? It'll be held this September 25-27, in Austin Texas. We've got some great venues lined up, including the Alamo Drafthouse and the Blue Starlite Drive-in. We're looking forward to another great year as the festival continues to grow. As the name of your film festival might already suggest, you put your focus firmly on indie films - so do talk about your appreciation for independent cinema, and connected to this, what can you tell us about the philosphy of your festival? Well, we ARE indie filmmakers. Twitchy Dolphin Flix has been making indie movies in Austin since 2007. But the main festivals in Austin are all top 10 fests and don't program that many "true" indie films. So, we're on the circuit and we're doing our thing, seeing great films that are never getting programmed in Austin. One of the key towns in this country for indie film, and indies are rarely screened. So we started our own thing and have worked to grow it steady over time. As far as I know, the Austin Indie Flix Showcase is still open for submissions - so how does one submit to your festival, and what qualities are you looking for in the films to be showcased? The best way is Film Freeway. I love the site. We use it both as our host for the fest, but also for our own submissions. Any films you're going to screen you can tell us about yet? Yeah, a few of our early announcements. And man, what a slate! We've got I Owe You from Hands Off Productions from Ohio. 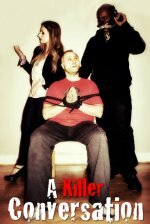 Their last short, 'Till Death, has been dominating film festivals and we're thrilled to be one of the first fest to show their new one. Army of Frankensteins (Ryan Bellgardt) and Pete Winning (Mike Donis) will headline our drive-in night. We can't think of a better lineup. Army of Frankensteins features the famous monster stuck in the middle of the America Civil War. Pete Winning takes us into the far future where pirates with lasers rule the flooded lands of Canada. We'll also be showing two of our films in weird slots to help fill the seats. We'll be hosting the world premiere of Werebitches 4 and... well... the other one is a surprise. You are also handing out awards, right? So what can you tell us about your award categories, your judges and the like? 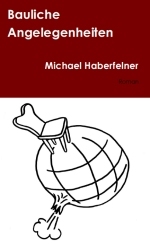 Were covering the gamut: International, National and Texas awards. We're rewarding actors, directors writers and the films themselves. And they're belt buckles! How rodeo/Texas can you get? Our judges are all professionals in the industry doing their thing. From what I've heard, you have also some planned events around the screenings - so do talk about those, and the schedule of your fest as a whole for a bit! Networking is a big part of it, for sure. We'll have an after party, some panels and lunch at the world famous BBQ The Salt Lick. We'll also focus on some practical panels such as use of social media in indie film, so that filmmakers will really get something out of the event. How did the Austin Indie Flix Showcase get off the ground in the first place? We just "willed" it into existence. We decided that Austin needed an indie voice and there are filmmakers the world over that want to screen here. So we just made it happen. As far as I know, the Austin Indie Flix Showcase is by now in its third year. What can you tell us about highlights from previous years? It's just a great time. 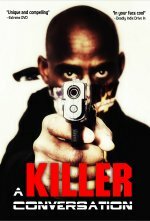 We pick great films, but also make sure that they are films with filmmakers engaged in the event. So we get a nice opportunity to have filmmakers the world over get their film shown, network and build collaborative relationships that pay off. 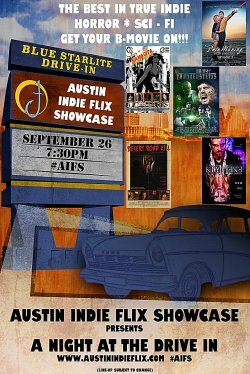 The Austin Indie Flix Showcase's website, Facebook, whatever else? Get your film submitted! It's a great fest, great vibe in a great city.